Happy New Year's Eve! Instead of a weekly round up, today we're looking back at the big stories of 2010-- but first we have to thank you, wonderful readers, for a fantastic year. Last December, we were all excited to top 100 followers. This December we have over 1500, thanks to you! To all of you who mention us on your blogs, retweet our links, send your friends our way, lurk behind the scenes, and especially to our awesome Road Trip Wednesday participants: We are so grateful. We want to make sure that we're giving you helpful, worthwhile information in the coming year, so be sure to visit yesterday's post and let us know what you want to see in 2011. We're looking forward to another great year! - The HuffPo lists the "13 Most Annoying Publishing Stories"
- Fimoculous has pretty much every 2010 list you can think of (via kateoplis). - Author Beth Revis counts down ten things she realized, learned, and appreciated. - Author Jessica Love listed her "Top 10-ish" books, as did Deltay at Lucid Conspiracy and Crystal at Life, Love and Literature. - Author Sarah Enni hosted a 2010 list extravaganza. - Kari at A Good Addiction has a bunch of fun lists! - The very first Field Trip Friday post! - Whitewashing controversy forced the redesign of Jaclyn Dolamore's Magic Under Glass. - Suzanne Collins revealed the cover for Mockingjay. - Kirsten, Kaitlin and Kody went to SCBWI New York and brought back a vlog full of great advice! - Bologna Book Fair, "the biggie for international sales in 'kidlit.'" - Kristin Sr. and Michelle braved the living dead to bring you the dirt on Carrie Ryan's sequel, The Dead-Tossed Waves. Highway agents Suzie Townsend and Joanna Volpe battled to the (near) death. - Stephenie Meyer announced the release of a Twilight-series companion book. - The New York Times was all over the place, from the lack of parents in YA to claiming illegal downloads are ethically fine. - Emilia loved publishing (and got "Boom De Ya Da" in our heads for weeks). - Do The Write Thing For Nashville brought the writing community together in support of the flooded city. - Publishing pretty much shut down while everyone headed to New York for BEA. Our very own Kody Keplinger was a freaking ROCK STAR! - At the same time, our very own Kirsten Hubbard announced an amazing blurb for her March 2011 debut! Apparently nothing happened in June. - Seven of us (and several of you!) attended SCBWI in LA. We learned lots of great info and had a ton of fun! 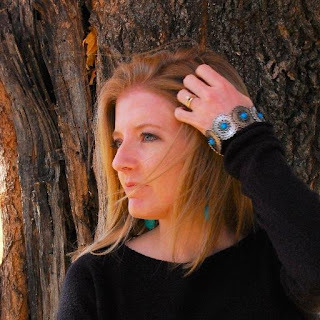 - YA author Ellen Hopkins was un-invited to a Texas Teen Lit Festival. - Something something Wylie and Random House blah blah something whatever MOCKINGJAY!!! - Bloggers debated whether the online community has changed YA. - Wesley Scroggins, associate professor at Missouri State University, petitions for the removal of several YA books, including SPEAK and TWENTY BOY SUMMER, from his local public school. You know. The one his children don't even attend. - Banned Books Week spurs lots of quality posts. - NaNoWriMo arrives with a surprising amount of controversy. - The internet was abuzz about a disturbing book promoting pedophilia for sale on Amazon. - Amazon makes Neilsen BookScan sales data available to authors. Chaos ensues. There is far too much random for me to pick my favorites, but here are a few of the stranger things I made when I should have been writing. It's alarming how quickly I can zombify someone. Three minutes, tops. Thanks again for a great year! Have a fantastic and safe New Year's Eve, and we'll see you in 2011! nothing happened in june?! i turned 21 in june!!!! June is when Wizarding World of Harry Potter officially opened! A whole section of AMAZING caused nerdgasms everywhere. Dear Kate Hart: you win the internet. Kate, you totally, outdid yourself. Happy New Year, guys! You all rock! Kate this rocks so much. I ADORE YOUR SITE! It is so filled with awesome and wonderful information! YOU ALL ROCK!!!!!! Nothing happened in June, hahahaha! I have to admit...I totally stole your SCBWI LA costume for Halloween this year. Thanks for the inspiration. Thanks for the year in review. This was an awesome recap! Kate Hart is my hero. Thanks guys, so glad you liked it! Thanks for the award, Janette, and Jessica, you are rockin that costume.